Sleep is a very important part of a human being’s life, just like a balanced diet and exercise. During a camping session, sleeping in a hammock is the best way to ensure that you get a good sleep. Did you know that a person can die because of sleep deprivation after just around two weeks? That proves how important it is to get a good night sleep irrespective of where you are or what you are doing. While outdoors, you will probably use a tent or a hammock to sleep. These two will make sure that you sleep both peacefully and comfortably. To some extent, they will also guarantee your security. Most people nowadays prefer hammocks to tents for several reasons. This is according to Terry Cralle, RN, who is a certified clinical sleep educator in Virginia. Which one do you prefer between hammock and tent camping? Please read this article to learn more. Using a hammock seems like a straightforward issue but if you barely know how to do it the right way, you will have a very nasty experience from getting in, sleeping and getting out. Continue reading and get to learn some important tips that will help you get a comfortable night’s sleep. If you are planning to go camping, a hammock will ensure that you get the best sleep as had been already stated earlier in this article. You may be unsure of how this will be possible. This may be because probably you have heard some people complaining of having a stiff neck after sleeping in a hammock. Don’t get worried at all; you only need to learn how to sleep in a hammock properly by following some simple yet very effective rules. Here are some tips that will save you all that agony only if you follow them closely. Hanging the hammock in the right way is the most important detail that you don’t want to miss out on when you intend to sleep in a hammock. You need to have the hammock curved to make it cozy. Do not tighten it too much. Instead, loosen up the sides to achieve the right curve. The first time I slept in a hammock, I slept parallel to the hammock and I did not turn even an inch. Little did I know that I was doing it the wrong way. I learned that the right way to sleep in a hammock is by sleeping diagonally. The head and the feet should press out. 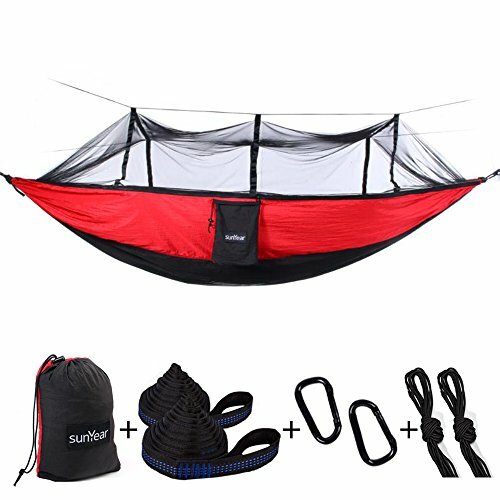 This expands the hammock and creates more room such that more people can fit in one hammock, say three or four. There are the accessories we are used to having every time when we go to bed. While sleeping in a hammock, you do not need to worry that you will compromise on your accessories. To enhance the comfort, have your pillow protector, a pillow or a sack stuffed with clothing, a sleeping bag or a blanket, base layer, socks and a longer underwear. Make sure that you carry a blanket that is big enough to cover you fully. If you are camping in the tropics, you are prone to suffering from malaria or a severe cold due to the abundance of mosquitoes and extreme cold respectively. You need to wrap yourself up very well with your blanket or your sleeping bag since a hammock allows for sufficient air circulation which will definitely expose you to too much cold. The hammock strings could also cause abrasion to your skin which will cause you some nasty discomfort. Covering up will help eliminate the abrasive effect. After you are done with your preparation and you are now very well covered up, relax so that you can get settled. Stretch out and seek to be comfortable. Move around a little until you get to a comfortable position. Within no time, sleep will catch up with you and you will drift off to wonderland. Mastering sleeping in a hammock goes hand in hand with knowing how to stay warm in a hammock. There is nothing as bad as feeling cold at night. The cold makes the night longer than it should be and almost unbearable. Consuming a lot of water when it is cold will enable your body to generate enough heat too to replace the water lost in form of sweat since your body is getting overworked due to the weight of your extra clothing. Taking enough water will keep you hydrated throughout your camping spree. Let me not even talk about having cold feet as you sleep. Let me share with you some important tips that will help you keep warm as you sleep during your camping sessions. The best place to set up your hammock during the winter season is in a dense forest where there is a natural windbreaker. Presence of unrestricted wind will make you loath camping since it will mess up your hammock. The presence of a windbreaker will ensure that the wind doesn’t cause you trouble while you are in your sleep. As you go camping during the winter season, be sure that you are ready to get wrapped up even when the temperatures get extremely low. Carry a sleeping bag that will get you mummied just in case the temperatures get dangerously low. I would recommend that you get a sleeping bag which has been rated 15 degrees Fahrenheit or lower than that. It should also have a synthetic fill or a down material filling. Do not forget cinching the hood around your head to protect it from adverse weather conditions. You can also keep your clothes as well as your boot liners in the dead air space within your sleeping bag. This will aid in keeping them warm for you to wear once you get up. 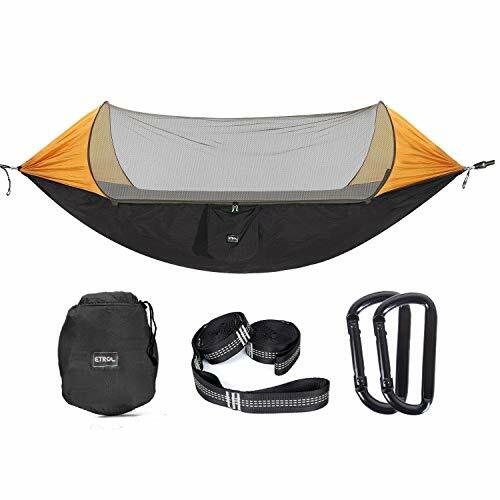 A sleeping bag pod will help you to keep warm since it will surround your hammock, creating that cozy and warm feeling. 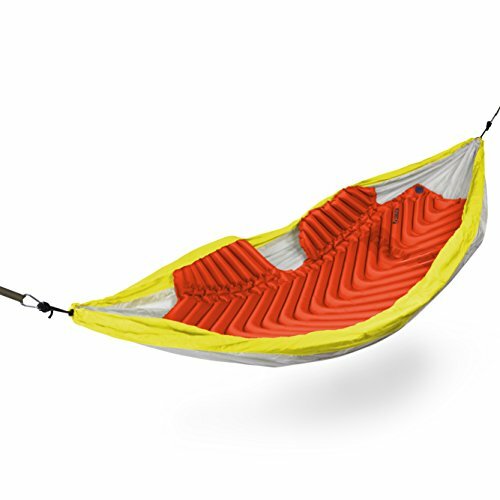 To enhance the experience, you can use two sleeping bags to surround your hammock. There is no better and warmer feeling than this. Bathing with boiled water will leave you skinless. You can still use this boiled water to keep yourself warm. Pour some boiled water in a bottle that will not deflate due to pressure differences within it and outside. Put on a pair of socks and place the bottle which has hot water close to your feet inside your sleeping bag. Be cautious enough to ensure that the bottle has been corked properly to avoid getting your skin burnt. The best brand of reflective blankets for a camping expedition is the mylar blanket. A reflective blanket is placed beneath the sleeping bag so that it can reflect heat towards you. Wrap up the reflective blanket over your hammock to maximize the extent of heat retention to keep you warm at night. Mylar is a more appealing reflective jacket since it is available at an affordable price and can also keep off light rain from penetrating into your hammock if it covers a large enough area of your hammock. A sleeping pad assures you of proper insulation which is very important. Before you settle down in your hammock to get some sleep, place a sleeping pad at the bottom of your sleeping bag, the foam and air will increase your comfort. 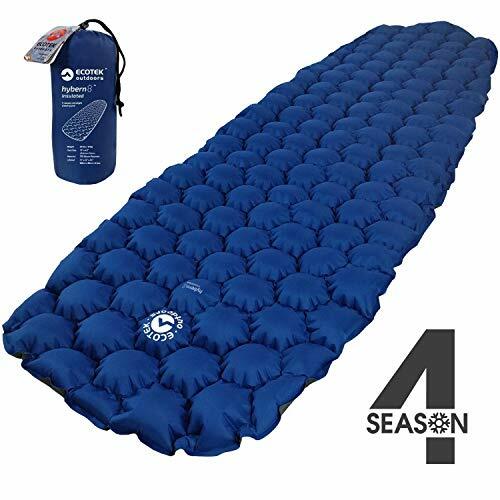 You may have experienced some difficulties when sleeping on a sleeping pad since it keeps on shifting. You do not have to worry about this anymore since I have just the perfect solution to your problem. You simply need to place your sleeping pad inside your sleeping bag. This way, you will have your sleeping bag intact all night long. The only issue with a sleeping pad is that it will only insulate your underside. To deal with this, you can add some wings to your hammock’s sides to keep your hands warm. If you do not have a sleeping pad, you can opt to use a car’s sun shade which is not currently in use. Although it does not have that much air or foam, it will serve you just like a sleeping pad would. It will insulate the underside of your body from the cold. The only problem with the car’s sun shade is that it produces some annoying sound as you toss and turn in your hammock. I am sure you can withstand this so long as it keeps you warm. When outdoors, there is always some intense dry air which is likely to make you dehydrated at a faster rate more than warm air would. During the cold season, there is a high probability that you will barely take water. This is the reason why you are likely to get dehydrated really fast. It is my hope that you now know the best way to sleep in a hammock so as to enhance your comfort. 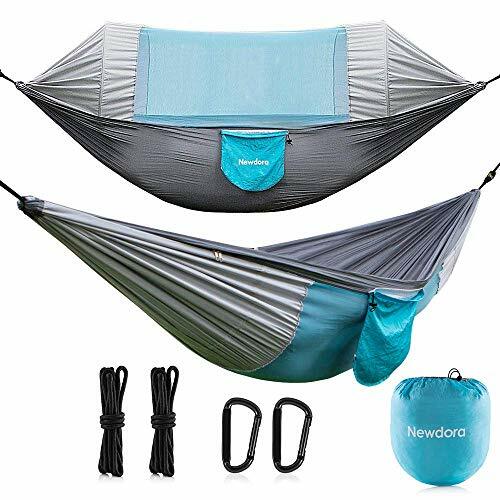 You should also know how to stay warm in a hammock by now as all that information needed to achieve that has been availed to you in this article. Leave a comment on the article. Let us know of your experience when using a hammock during your camping expeditions. Don’t forget to give us a thumbs up if you liked the article. Make any inquiry where you need clarification and I will be glad to offer aid where I can. Never again will you have to carry your tent with you, and neither will you have to spend so much time pitching your tent using quite some energy. The hammock will save you from all that trouble so long as you know how to utilize it in the best way to enhance your comfort.